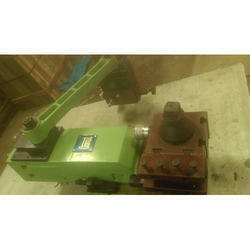 We are offering Copying Lathe Attachment to our clients. We provide best quality Auto Copy Lathe Machine For Auto Component at reasonable prices to our valued customers. We are manufacturer of high precision all geared lathe and offers machines with numerous features like hydraulic copy attachment, dro, collet attachment & many others. We also supply machines in the public government sectors as well. Sant Machine Tools Corporation offers a high speed hydro-copying machine – with mechanical and hydro feed. 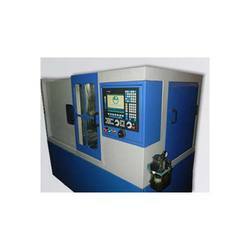 With rich industry experience in manufacturing and supplying a broad assortment of Copying Lathe Machine. These Copying Lathe Machine find many usages in different industries. Due to their sturdy construction and dimensional accuracy, these Copying Lathe Machine are highly demanded among our clients. The turning and sanding center T4M-O reproduces wood elements as per a tri-dimensional template. It is used to machine parts of chairs and furniture, as well as rifle stocks, tool-handles, sandals, oarses, hangers and sport items, musical instruments and so on. 1. Front Tracing Slide Can be used for external/internal Copying. 4. Feed Cylinders For infinitely variable feed to suit cutting conditions.